Like every Monday, heart wants a few more days of weekend and mind is stuck with Monday Blues. 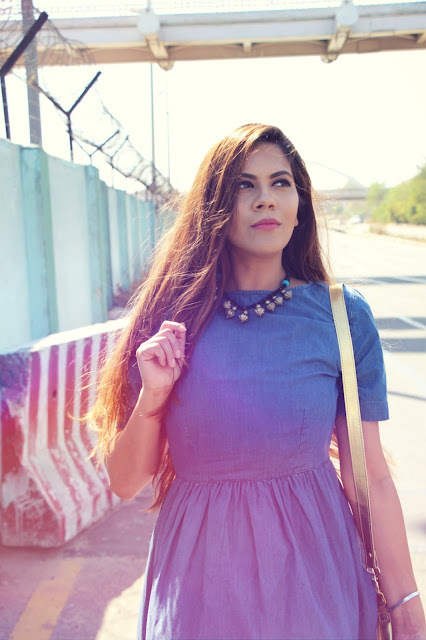 I control days, but what I can do is start the week with the Denim maxi dress. 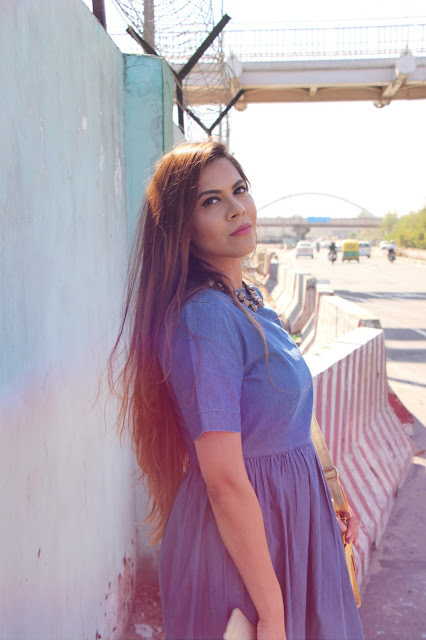 Blue denim dress is prefect to blow always the Monday Blues. 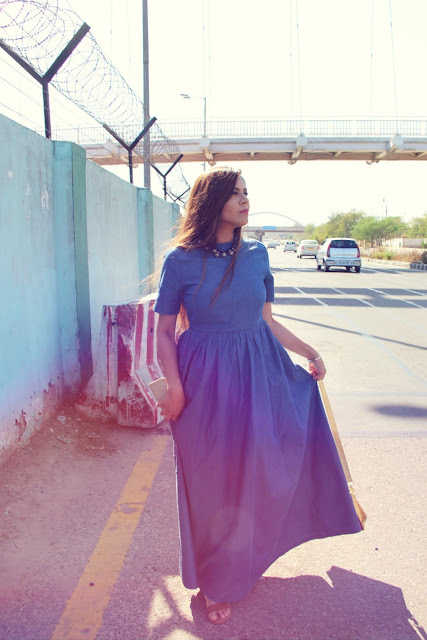 Continuing on my mission to try everything, event the things that are completely out of my comfort zone and don't go with my style at all, I dipped my toe in the Denim trend and combined it with maxi which I almost never wear. As I am not too tall, I always stay away from maxi dresses. For the longest time I felt that they make me look a lot more wide and short. 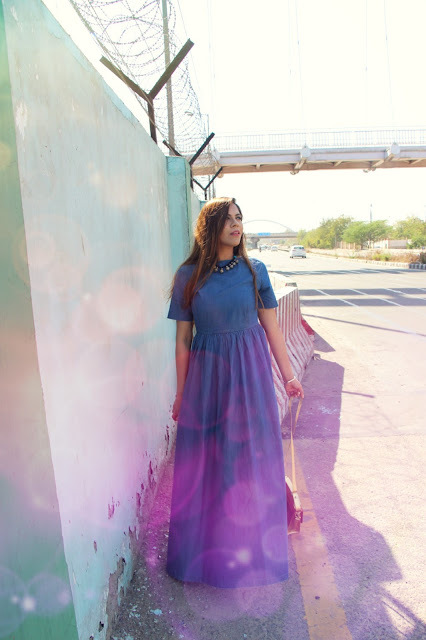 But this cute denim maxi from Stalkbuylove totally got me, had to give it a shot. I always loved the Denim skirts and ofcourse my skinny jeans is my best friend but never thought that the 90's style fashion would come together in trend again. 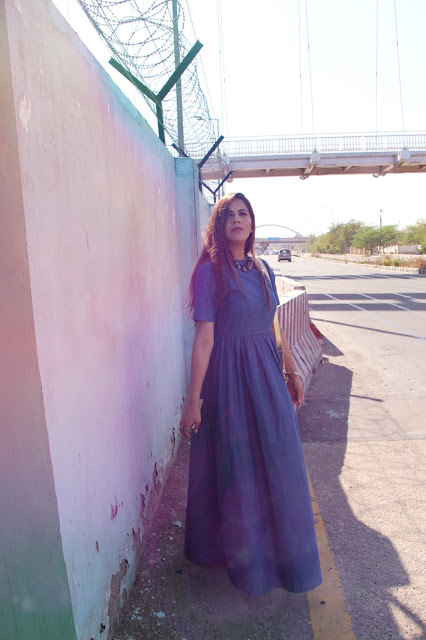 This denim maxi is the best of both worlds, not only has the 90's vibe but also the denim is very smooth and light which is perfect for Delhi Summer. For this casual summer afternoon, I kept the outfit simple, just added this choker and some flat sandals. Denim everything and anything, starting from denim pencil skirts, onesies and top are hot in trend. 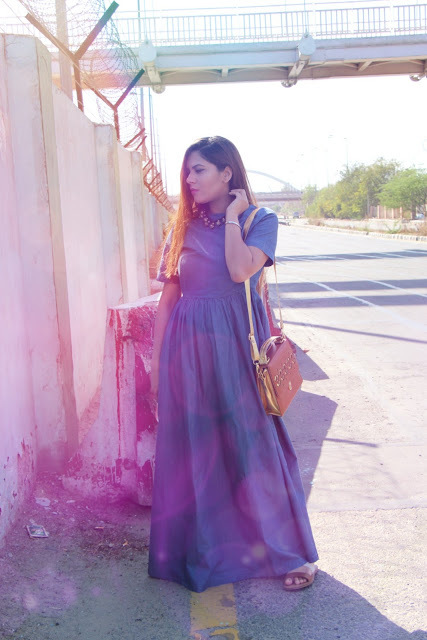 This denim maxi dress is just the starting of my Denim obsession. 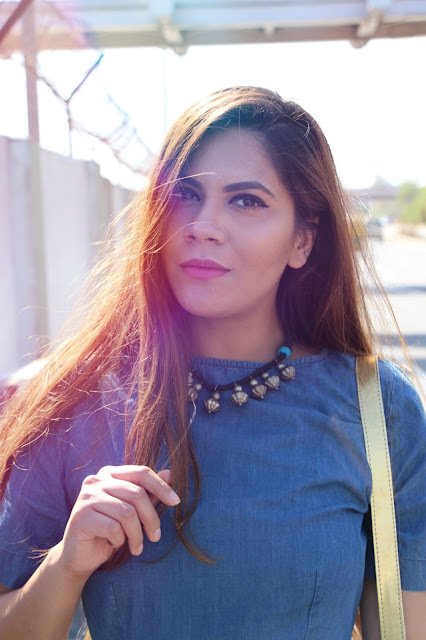 I am ready to go all out with Denim, already styled denim cords in Denim Cords-Street Style Outfit and stay tuned for the denim skirt and onesie. Amazing dress and cool photos! Merci pour le partage de vos très jolies photos... Quelle belle robe ! You look great! Love this maxi-dress! Looking stunning in that maxi dress babe... loving it ! The maxi dress looks cute.